The ceremony will take place at 6 PM at the Dearborn Historical Museum’s 1833 Commandant’s Quarters, part of the Detroit Federal Arsenal at Dearbornville, located at 21950 Michigan Avenue. 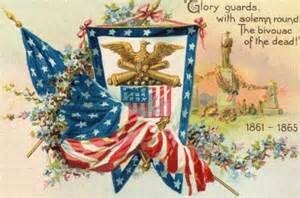 See how we honored our veterans before there was a Memorial Day. Join us for an amazing evening. Find yourself transported back to 1925 where you will have the chance to interact with 2 of the most famous historical figures who have ever lived. Dore Productions and the Dearborn Historical Museum present “An Evening with Henry Ford and Thomas Edison.” Learn about their friendship, their families and their phenomenal contributions to not only American society but the world. This is an interactive program that is not only educational but also highly entertaining. The program is sponsored by Village Ford and all proceeds benefit the educational programs of the Dearborn Historical Museum. If you are looking for that special gift for that special someone or just something for yourself, we have the perfect choice. Many people have been looking for volume 1 of the Best of Dearborn Stories series for quite awhile now. Well, we have exciting news for you. 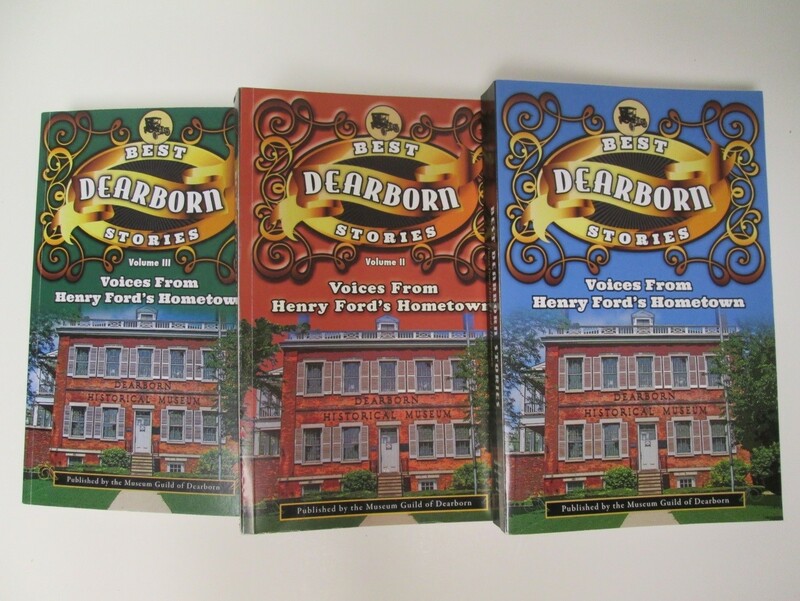 The Museum Guild of Dearborn has been able to obtain copies of what we thought was the sold-out “Best of Dearborn Stories Volume 1.” Because of this great find, for this one-time offer, you can purchase volume 1 along with Volumes 2 and 3 as a set for the discounted price of $50.00. This offer is available on-line or at the Dearborn Historical Museum, 915 Brady Street, Dearborn, 48124. If you want to purchase the set online, click here to make a donation of $50 and specify that it is for the Best of Dearborn Stories Special Offer. All proceeds benefit the Dearborn Historical Museum. 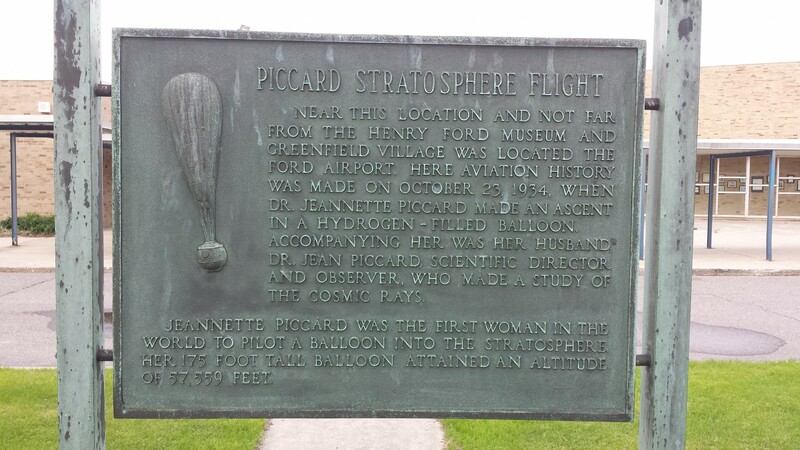 On May 20, 1965 in the City of Dearborn, Dr. Jeannette Piccard was honored with a dinner at Greenfield Village. She was also recognized with a memorial at William B. Stout Middle School, both of which are still located on Oakwood Boulevard. At the bottom is a picture of the momument. 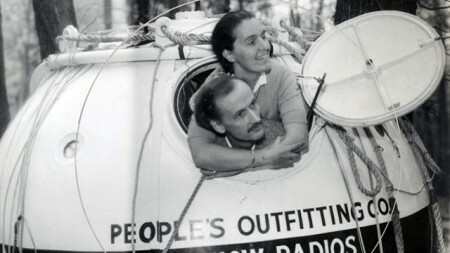 Dr. Piccard was most famously known for her hot air balloon ride that took her up 57,559 feet all the way into the stratosphere. The flight itself took place back in 1934, and it began at the Ford Airport right here in Dearborn. The flight was rather impactful, as their findings contributed to the space program at the time. Not only that, the height of 57,559 feet was a record altitude for a woman that was not broken until the Russian cosmonette was launched into space. Dr. Piccard and her family were all highly accomplished. Her historic flight made Jeannette Piccard the first woman to pilot a balloon in the stratosphere. Her husband Jean and his twin Auguste created the bathyscaph in 1905. Their three sons were accomplished scientists as well. The events honoring her were part of a Heritage Day feature of the Michigan Week celebration in Dearborn during May of 1965. This just a small portion of this city’s rich history. If you do not remember this, or if you think we are full of “hot air” like Dr. Piccard’s balloon, then come pay us a visit at the Dearborn Historical Museum, and read about it in our archives. We would love to meet you and share with you the history of Dearborn. (Information retrieved from the archives of the Dearborn Historical Museum).